Julie, a little girl from Texas, learned to swim! When her Grandfather saw, he said she looked like a little duck paddling in the water. 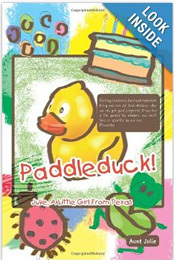 He called her, "Paddleduck"!